themselves to looking for the cause. 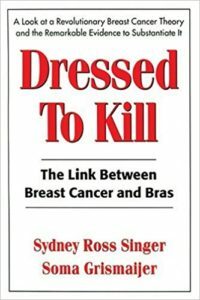 Their 1991-93 U.S. Bra and Breast Cancer Study was the first study to ever look at a possible bra/cancer link, and has since inspired numerous other studies such as a Brazilian study featured in the April 2016 issue of Advances in Oncology Research and Treatments (“Wearing a Tight Bra for Many Hours a Day is Associated with Increased Risk of Breast Cancer”). Singer and Grismaijer’s work is also cited as the basis for new bra designs that claim to be saferfor women’s breasts. However, in a culture where the wearing of bras is viewed as an iconic symbol of womanhood and where fashion is still king, the bra/cancer link has been seen as a threat to the social fabric itself. Yet the studies that have gone on in the wake of Singer and Grismaijer’s work from the mid-1990s continue to show how tight bras cut off the flow of the lymphatic system that surrounds the breast tissue. Recently, Oprah Winfrey was given the Cecil B. DeMille Award at the televised Golden Globes dinner. During her acceptance speech, she talked about this being “a new day” for women to be strong. How empowered can an audience truly feel, though, when one out of every eight women listening is estimated to get breast cancer? What if all it took to reduce these alarming numbers was for women to wear a less confining bra—or to simply go braless? According to the National Cancer Institute, over seventy percent of all cases of breast cancer have no known cause. Singer and Grismaijer believe that the bra explains these cases, and that a simple alteration of bra habits can help prevent cancer in over 100,000 women each year in the U.S. alone. Millions of women might have been spared this disease if the issue had been taken seriously back in 1995, when it was first announced to a non-receptive cancer industry. Billions of dollars in health care costs could have been saved as well. 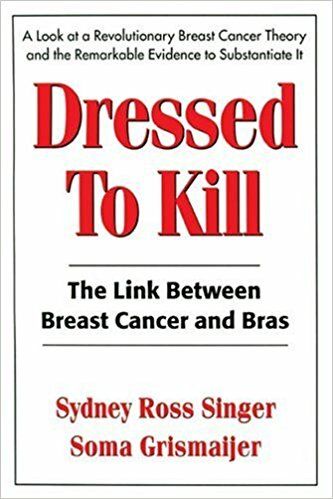 And all that any of us need to do, according to Singer and Grismaijer, is to look at the latest research available in this new edition of Dressed to Kill. Singer suggest if women would never wear a bra from early on the breast will return their firmness, shape and lift. It is only after years of being artificially propped up that they lose their natural shape and fitness.